Hoy os traigo un look casual chic que me parece perfecto para llevar durante el fin de semana. 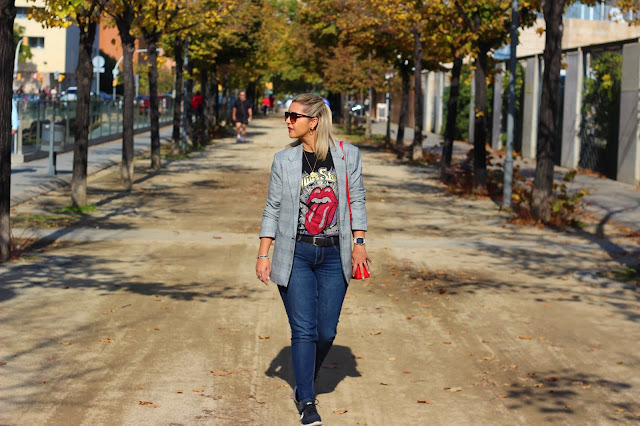 En el look de hoy, llevo una camiseta rockera con unos jeans y una blazer de cuadros de principe de gales. Los accesorios que escogí fueron unas zapatillas de deporte y mi bolso rojo de Tous. 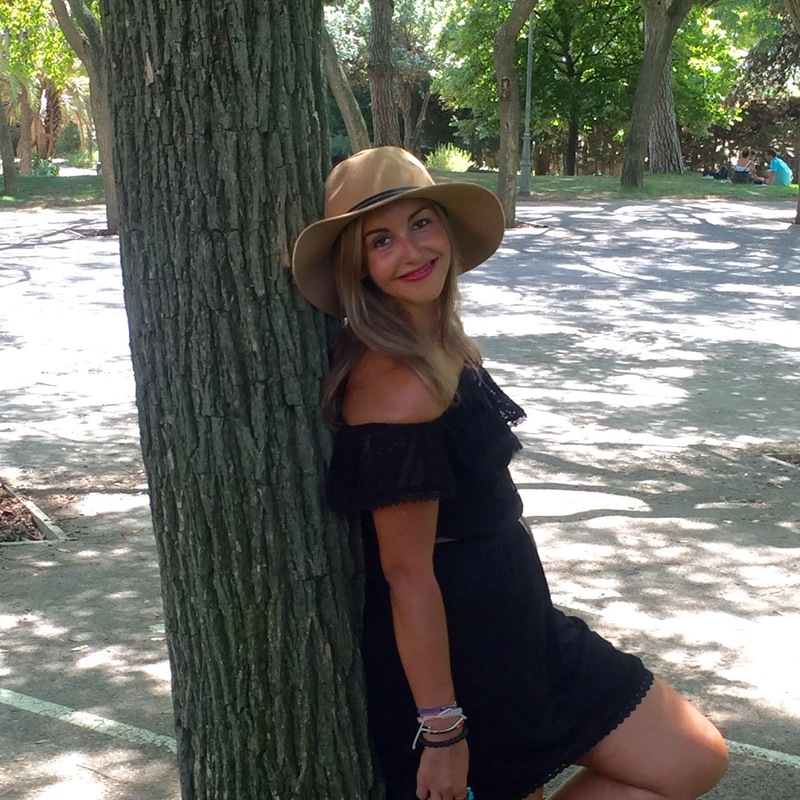 Un look super cómodo y chic. ¿Qué os parece el look de hoy? Gracias por vuestras visitas y comentarios. Nos vemos el jueves con un nuevo post. Que tengáis una feliz semana. Good night! How did the weekend go? My weekend was full of plans, because we had two meals with some friends and in addition, this weekend I ran the women race of Barcelona and I really think that I need some days for resting of this busy weekend. 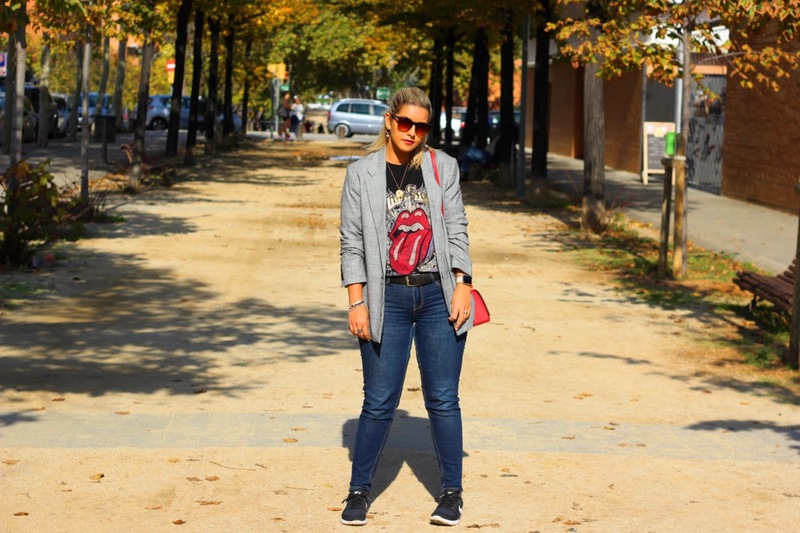 Today I show you a casual chic outfit that I think it's perfect to wear during the weekend. In the outfit of the day, I wear a rock tee with a jeans and a checked jacket. The accessories of the outfit are black sneakers and to give a touch of color to the outfit, I add my red bag from Tous. A very comfy and chic outfit! ohh me encanta la cami!